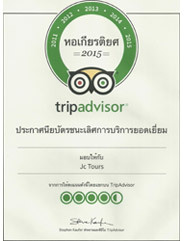 In Krabi, there are 3 places as the highlight for the tourist. 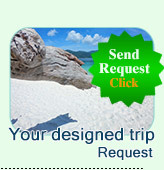 Or you can say that "visiting krabi, must visit these 3 places". 4 Islands (Porda Island, Chicken Island, Tab Island and Separated Sea) Nature Place (Crystal lake and hot Spring as Waterfall) and the most important Island of Krabi, Lanta Island. 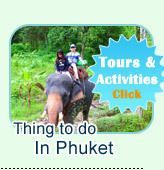 By this tour package, you can visit all above interesting places of Krabi. The highlight pictures and the brief programs needed to be read. Separated Sea, Porda Island, Tub Island and Chicken Island is the world Class place which you have to stop to see. Nice, Nature, Local, Small Town, lonely Beach and Quiet Atmosphere means "Lanta Island"
On the Lanta Island, the nature of this Island is very completed. You can see real "World Green" here. In the other side, Lanta Island gives you a very quiet beaches around the Island. We promise that you will never miss hope with this island if you are the Real Nature Lovers. And we guarantee that you will never miss hope as well if you are the one of Lonely Town Lovers. And this small town is the living place of the sincere local people.